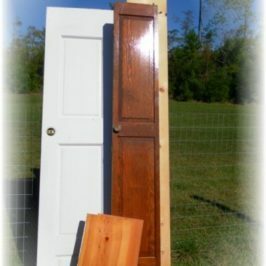 Today I would like to share with you a couple of projects I have recently completed. 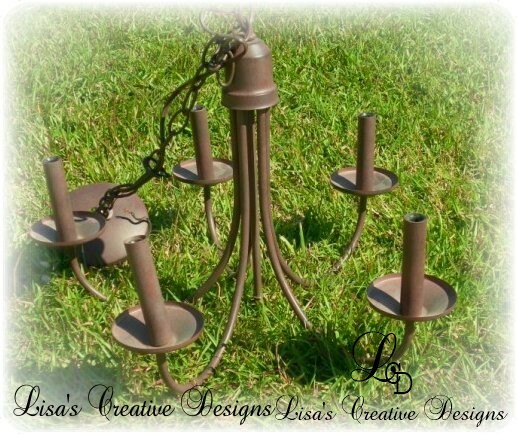 I love working with old lighting fixtures. A couple of months ago I bought quite a few old brass chandeliers at some local thrift shops. I am sure you are familiar with these dated old gems. 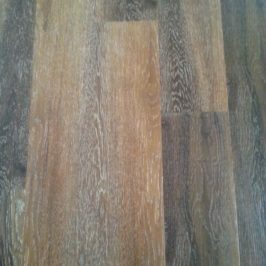 If you can get past the color you can see that they have great lines and could have much more life left in them after a little TLC. 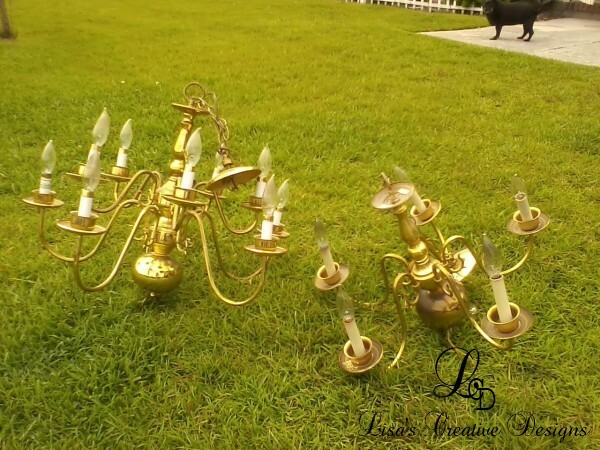 I decided to give the first chandelier a makeover with a simple paint job. I picked a vibrant Baby Blue and got to work. Here is the finished results. I think this upcycled chandelier turned out quite nicely! It is bright, cheerful and has found a new home already. I decided to give the larger, 10 arm chandelier a grander look and feel. I started off by rewiring it so it can be plugged into any standard outlet. 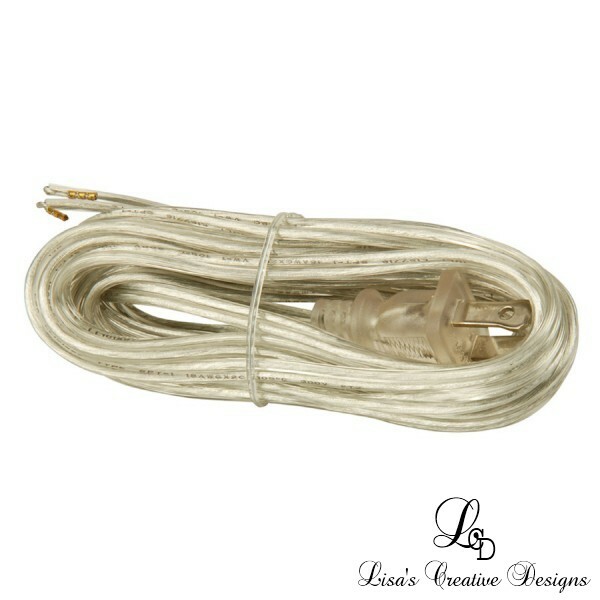 I purchased a 12 foot long cord from my local home improvement store for less than $10. 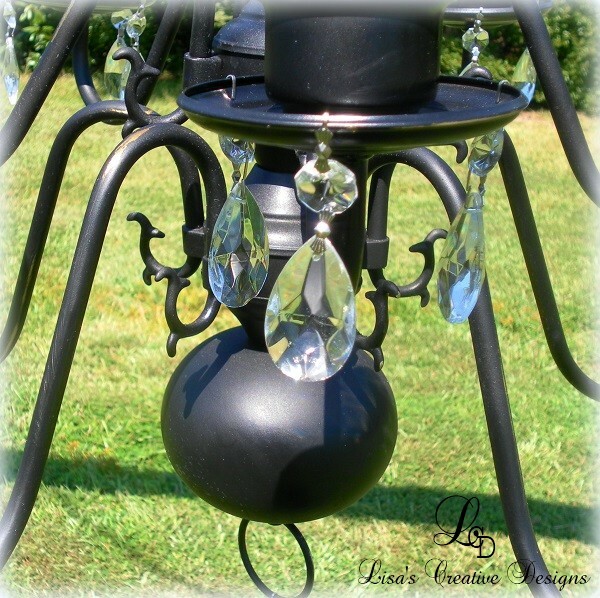 I gave the chandelier a few coats of satin black paint and added over 30 tear drop crystals to give it style. I also gave it a slight distressing for some added character. 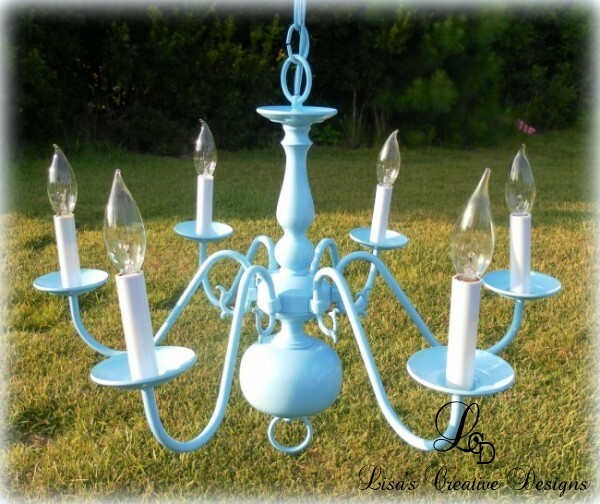 I love how this “Bohemian Chic Upcycled Chandelier” now looks! This old gal is so elegant now and is worthy of any home don’t you think? 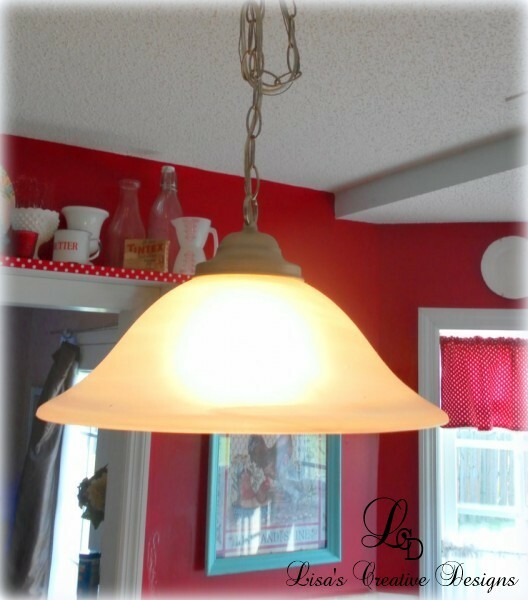 Thumbs up for this Thrift Store Chandelier Makeover! 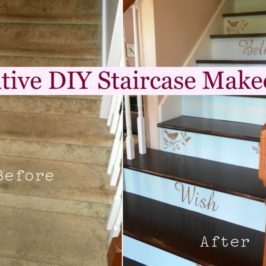 This last chandelier makeover is my personal favorite. When we bought our home nearly nine years ago the builders hung this ugly pendant light in our breakfast room. I have never liked it. A couple of years ago (yes I said years ago) I bought this old chandelier with the intention of revamping it for my breakfast room. I can’t remember where I got it but could bet it was from a thrift shop. It sat in my garage for a looooong time waiting for a makeover. After a while I did manage to paint it my favorite aqua blue and distressed it. Then it sat for well over a year, collecting dust in my garage… again. You see, the pendant light hung off center from my kitchen table so in order for me to get this chandelier exactly where I wanted it I needed to rewire it with a longer cord so I could swag it into place. I just never seemed to find the time to do that. 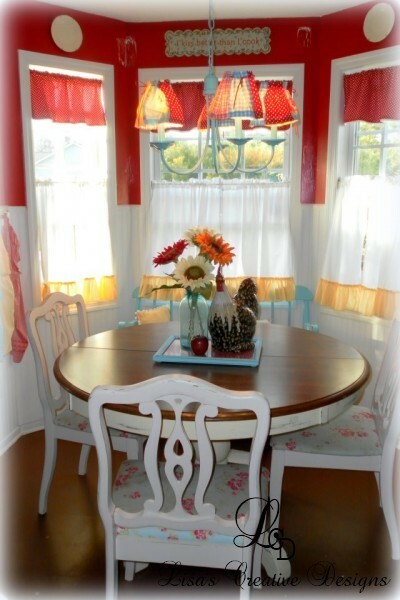 Well, I am happy to say that I finally finished giving this chandelier it’s much needed makeover and is now hanging in the breakfast room…..
Oh yeah, did I mention that I also sewed some really cute slipcovers for the lampshades? I love them! 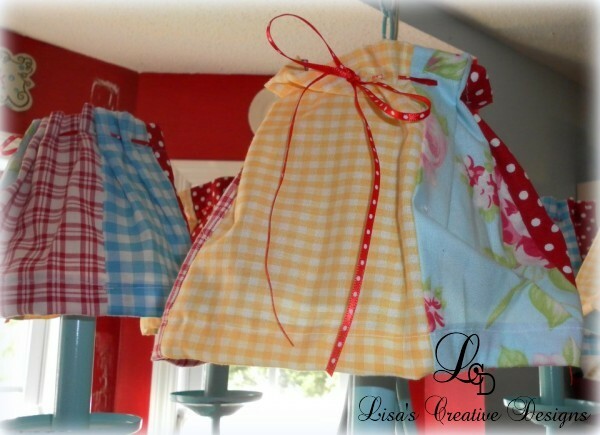 I used some leftover fabric from my kitchen chair redesign, my curtain valances and some other pieces I had stashed in my collection. 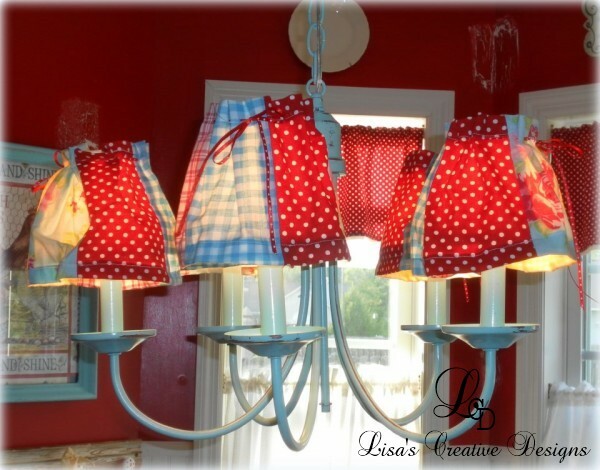 It really gives this upcycled chandelier some cottage personality! 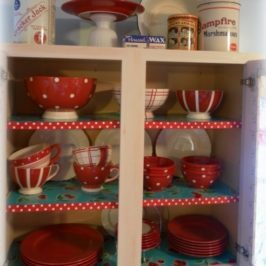 As you can see, my “new” upcycled chandelier blends in nicely with my red and aqua inspired kitchen! I absolutely love it! 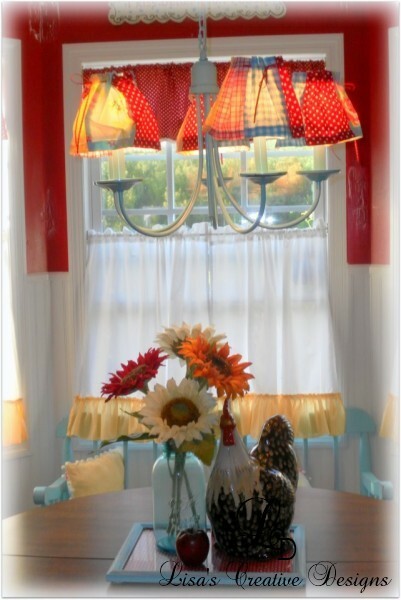 So, what do you think of my latest thrift store Chandelier Makeovers? Used chandeliers are pretty easy to find at thrift shops, yard sales and flea markets. 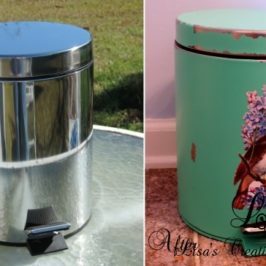 Many of them can be brought back to life with just a little TLC. Rewiring one is really an easy task but if you do not know what you are doing please get some help from someone who does. 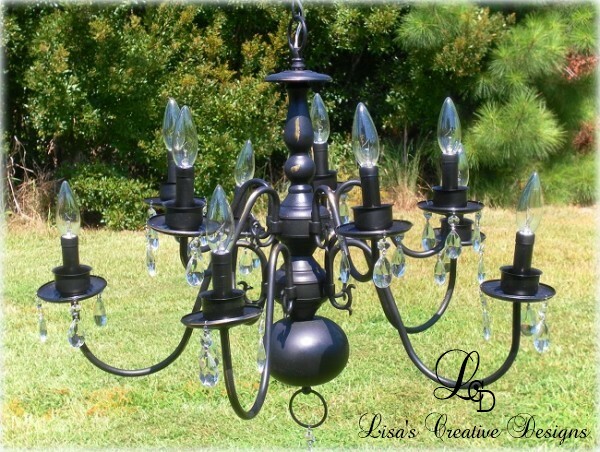 Upcycling an old chandelier is a great way to give your home a custom look. 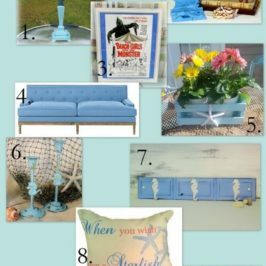 How many aqua blue Cottage Style Chandeliers have you seen in your local home decor store lately? That’s all for today Blogland friends! Thanks for reading!